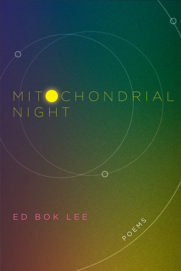 Join us for the book launch of Ed Bok Lee’s latest, Mitochondrial Night, a collection that traces paths through time, genealogy, and geography. Taking mitochondrial DNA as his guide, Lee explores familial and national legacies—the trait of an ancestor appears in the face of a newborn, and in her cry generations of women’s voices echo. Using lush, exact imagery, whether about the corner bar or an invasion in medieval Korea, Lee is a careful observer, tracking and documenting the way that seemingly small moments can lead to larger insights. EVENT UPDATE: Two introductory readers have been announced! Saymoukda Vongsay and Donte Collins will each read a poem to help kick off the celebration. This event, free and open to the public, is co-sponsored by Literary Witnesses, Rain Taxi Review of Books and Korean Quarterly. Reception to follow, with music by DJ NAK. We hope to see you there! Ed Bok Lee, the son of North and South Korean emigrants, grew up in South Korea, North Dakota, and Minnesota, and was educated on both U.S. coasts as well as Russia, South Korea, and Kazakhstan. He teaches at Metropolitan State University in Saint Paul, and for two decades has taught in numerous programs for youth and the incarcerated. 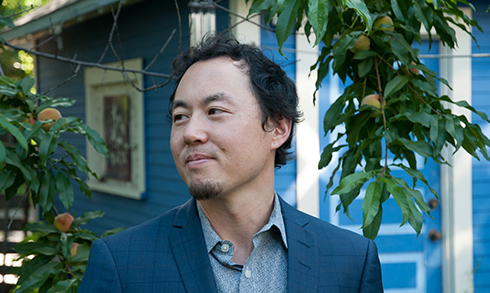 Lee is the author of Whorled (Coffee House Press), a recipient of a 2012 American Book Award and the Minnesota Book Award in Poetry; other honors include the Asian American Literary Award (Members’ Choice Award) and a PEN/Open Book Award. Author photo by Ted Hall.